Specially designed for Helicopter lifting operations. Widely used across the UK and Ireland by Helicopter companies, civil engineers & the National Trust. 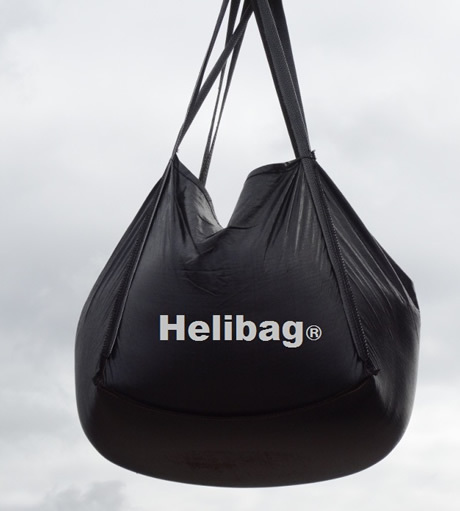 Helibag® provides a safe, heavy duty solution for helicopter lifting operations. All of our helicopter lifting bags are tested to ensure quality and safety in use. 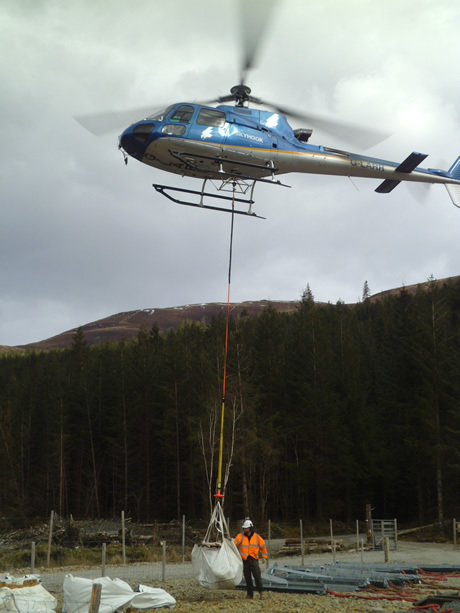 Our helicopter bags are ideal for the safe and easy lifting of heavy granular materials. Helibag® can also be made to order for more awkward shapes and materials. Helicopter bags comply with European standards making them suitable for use in the UK and across Europe.